Rail line to the gas chambers, Birkinau. 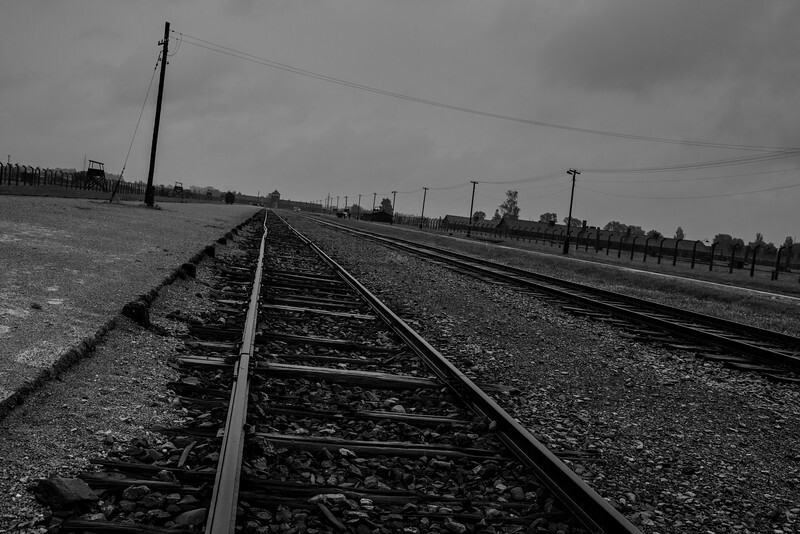 An improvement to the system in Birkenau was to run the train tracks right into the camp. The prisoners were separated by doctors immediately upon arrival into those who would go to the barracks to be worked to death, and those who would go directly to the gas chambers.